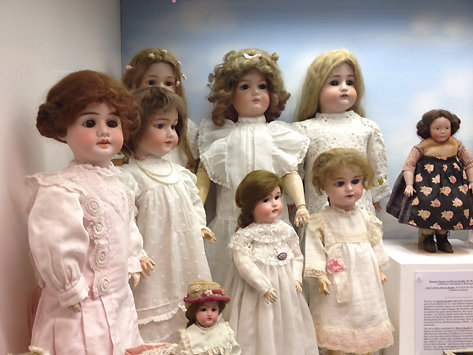 I love dolls. Of course I do. But I also love dolls in all the differente variations there are. 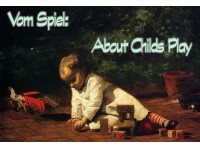 Not only because of their importance for children and everything they stand for. Not only because they bring so many people so much joy. Not only because they became a very important part in my everyday life, a creative catalyst. 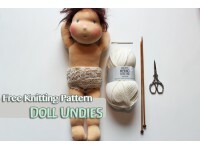 But also because dolls can be so versatile: Made to be rather simple or worked quite delicately. Very lifelike or more abstract. Intended to be played with, for the hands and souls enjoyment – or just made to be looked at and admired, only for the eyes pleasure… but always dolls also are made for the heart. Felting – a new trend in dollmaking? 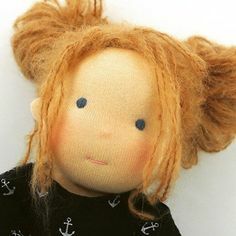 For quite some time now there is a trend to be observed among the dollmakers community: They started sculpting the wool with the help of the needle felting technique in order to design the faces to be more unique and with lots of details and facial features. 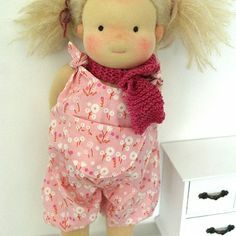 The traditional (waldorf) cloth doll seems to be the oppostie of this new trend, being more simple and with only little facial features, a small mouth and without a nose, so it will not influence the childs imagination in play and is open for the childs own emotions and interpretations. 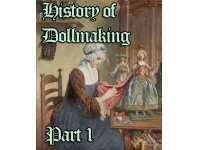 It gets even more interesteing, when looking at the facebook foto albums of the various dollmakers there. Since facebook is showing fotos in chronological order, one can easily see this new needle felting trend evolve around the end of 2013. This trend towards differentiated physiognomy for the doll – may be due to the desire for artistic development and new challenges of the doll makers themselves, the natural influence of other rag dolls styles or maybe a result of customer demand for more lifelike dolls, or even something else altogether – however it is very interesting. Asked about the roots of their dollmaking knowledge or by which book they started making dolls, many dollmakers will mention this one traditional waldorf cloth doll book: “Die Waldrofpuppe ” by Karin Neuschütz. 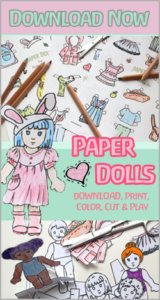 Following her instructions and doll patterns in this book the doll created will initially be quite traditional. Speaking of which- it may be an interesting fact, that Neuschütz published another book on this topic in 2009: “Sewing Dolls” comes with englisch instructions and patterns and has a more updated and modern way and approachh to dollmaking. Even Neuschütz seems to have adopted the needle felting techniques for her dollmaking there. Although not quite as evolved as seen done by current dollmakers, she uses the felting needle to achive a more chubby cheeks look or for a strudy neck and felting the limbs. Also the book contains some instructions on head shaping and how to needle sculpt a doll face with threading (like so, done here, so, here and so). Another way of soft sculpting a doll face, is by only adding more wool for the chubby cheeks and using the needle to felt it to the ball of woll that will become the head of the doll. 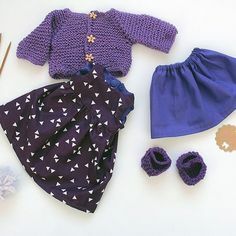 Like said in the beginning of my post, I like to observe the different trends in dollmaking and I greatly enjoy and appreciate it, when other doll maker share their ecperiences and wisdom along with some tips for dollmaking. Carrie of novembermorningblog lets us take a peak over her shoulder by showing how she achives the chubby cheeks look by adding and felting wool to the dolls head here. Also we get a glimpse at the process of needle sculpting the head overe here, here, here, here, here and here. 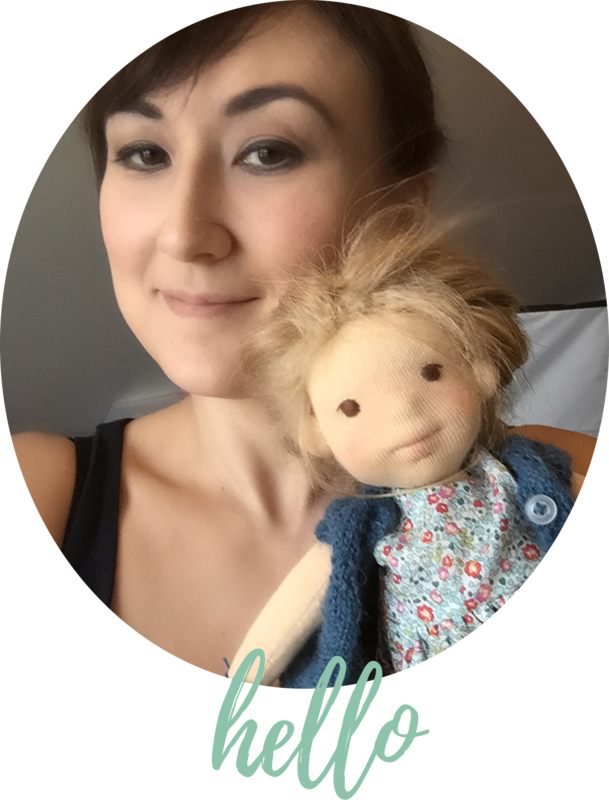 Just recently dollmakers Maria and Laura have published a great ebook (“Charlie Bo” E-Book in English) with many fotos and instructions on felting a doll head. Also they are giving classes on dollmaking and needle felting doll heads in Berlin. 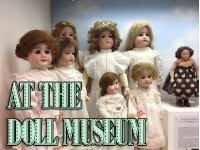 Peggy of colorful waldorf has a you tube channel dedicated to her dollmaking, where she shares dollmaking tips and also has uploaded a video on needle felting heads here and here. Being as curious as I am, I could not resist on trying out my own little experiments with my doll heads using the needle felt technique. Here is the first needle felted doll head I made. But how goes the saying? Practice creates masters …more even in needle felting doll faces. So I clenched my teeth, got some bandaids and continued on the path of needle felting. – First I started out by making a doll head from a ball of wool as I usally do. Then I tied the eyeline and added some wool for the cheeks by needle felting it on to the head. Don’t forget to add some wool to the back of the head, too. You do not want to get the proportions all wrong. It is wise to start with a rather small ball of wool, because by adding the wool in this second step you might end up getting quite the big head. -I prefere my dolls with quite a pouty ot expressive visible mouth/lips. So you got to “overdo” it when felting the face, or else the pretty curves of those lips won’t show under the cloth covering the head up later. – Speaking of which. I needle felt the facial feature onto the wool of the headball. Then I will cover it with gaze. Then I use the thread and the long doll needle to “sculpt” the mouth, nose and chin a little bit further. Only after doing so I cover the head with the flesh coloured cloth. – I like it more when the thread in the mouth is not visible at first glance. So I have to tie it really, really string at the back of the head, so it will be pulled inside the mouth and cloth. – I also learned that I like my dolls better without those nostrils. – As you can see in the photo below, I experimented a little bit further with porportions and head shapes. Creating an other head-cheeks-ratio and adding a chin, the doll on the left is perceived as being “older” than the more child like one on the right. In the end I can say it definately taks a lot of practice and many, many hours of time along with aching hands and pricked fingers when trying to master the art of needle felting a doll head. But I for my part enjoyed this journey and therefore this will not be my last needle sculpted doll faces for sure. 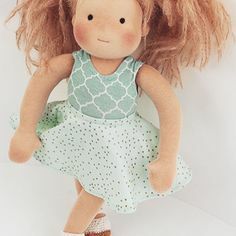 Still loving the simple and traditional dolls there are, I also embrace the new trend and am looking forward to travel some new paths in the doll making worlds this way. Generally I noticed that it may be helpful knowing at least some things about human proportions and physiognomy. Studying different facial expressions and head shapes depending on age is the first baic step toward achiving the “look” you may want in your needle sculpted doll head. Toddlers have a whole other head to body proportion than babys or grown ups. 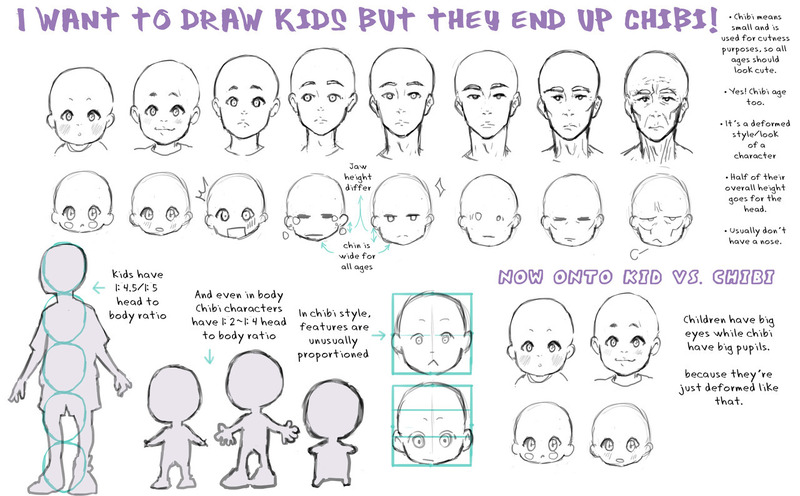 Also the faces of young children tend to look very different from the one of adults (talking about “cuteness“), having big eyes and a higher forehead. Some helpful instructions and tutorials for drawing bodies & faces may also improve your doll making skills (look at these, here, this one, this and this). glad my post was helpful to you. thanks for commenting and maybe you will show your needle felted doll result on your page too?